We are stepping into the next month and also beginning our 31st edition of Blogging marathon. I can’t thank enough all the BM members for making blogging this much fun. I am really enjoying every month of it and look forward to it every month. This month the first theme I am going to be doing is member’s choice. 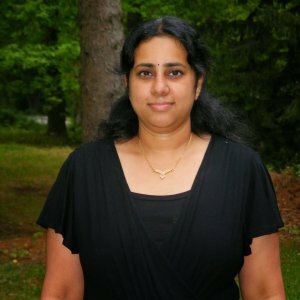 Srivalli had gathered information over the past few months about things that we always wanted to make, but never got to it. She compiled a list from those choices and we have to choose one to make for the next three days. The first one I have here is under the Casserole category. 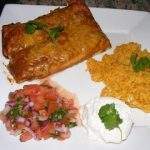 One of my friends had mentioned this recipe from Allrecipes.com. 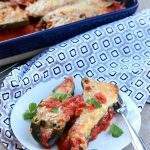 The original recipe used zucchini, but I used eggplants instead since they are growing in abundance in my garden. Also I increased the spices and added a couple of my own twist to the recipe. 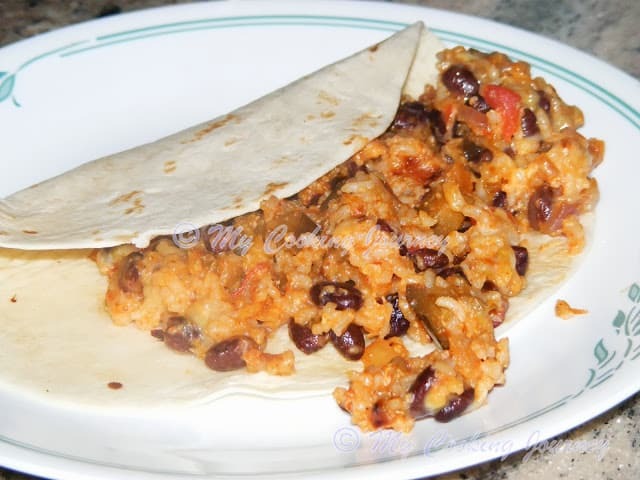 The casserole served as a pot meal and I served it with some warm tortillas. 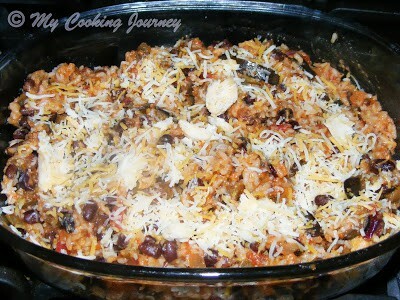 This recipe is a very quick casserole recipe that can be made on a week day night with ease. 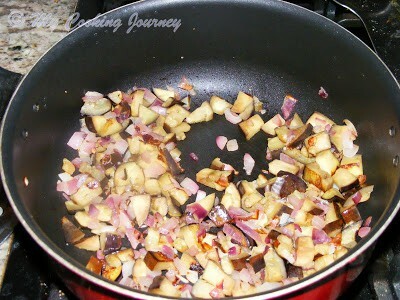 Heat oil in a large pan and add the onions and the eggplant. Sauté until the vegetables are tender (about 10 mins). 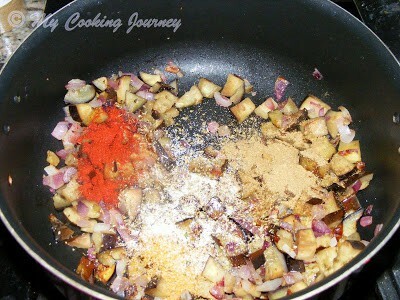 Add all the seasonings and cook for 5 more minutes until fragrant. 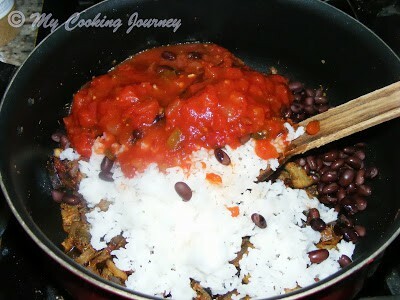 Now add the beans, rice and salsa and mix well. Cook until just heated through. 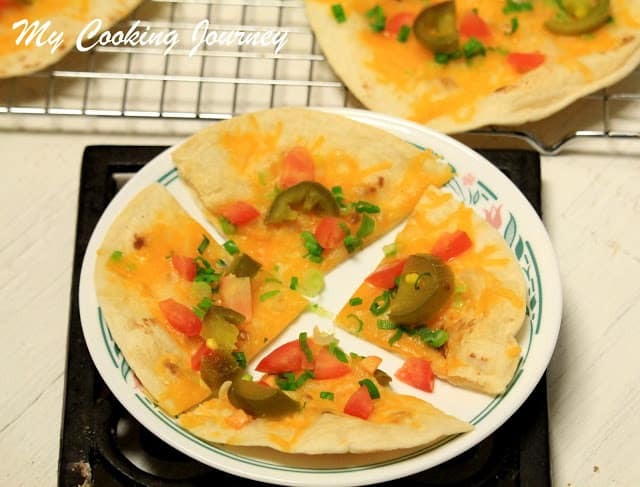 Now add half of the shredded cheese and mix to incorporate. 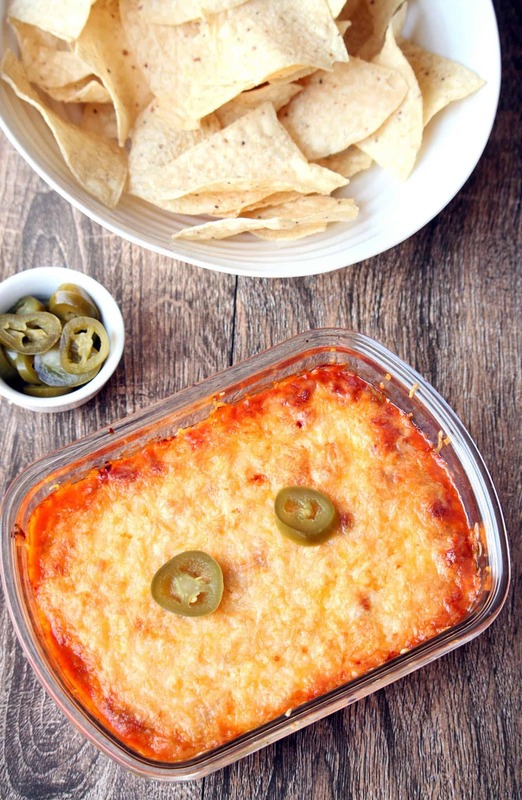 Transfer the ingredients to an 8 x 10 baking dish and top with the remaining cheese. 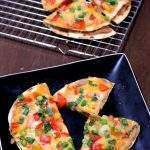 Cover tightly with aluminum foil and bake for about 20 minutes or until the cheese has melted and the casserole is bubbly. 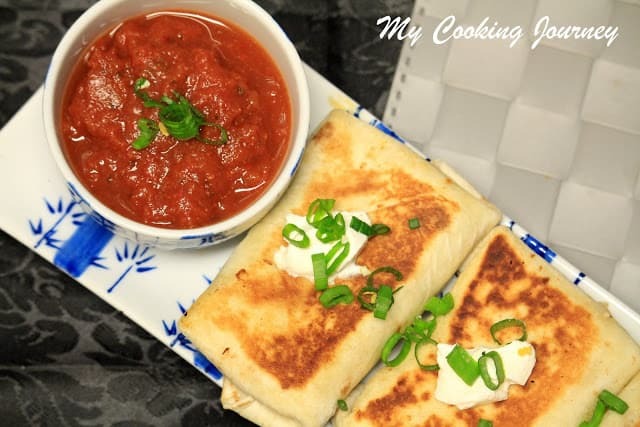 Set aside for about 10 minutes and then serve with some tortillas on the side. 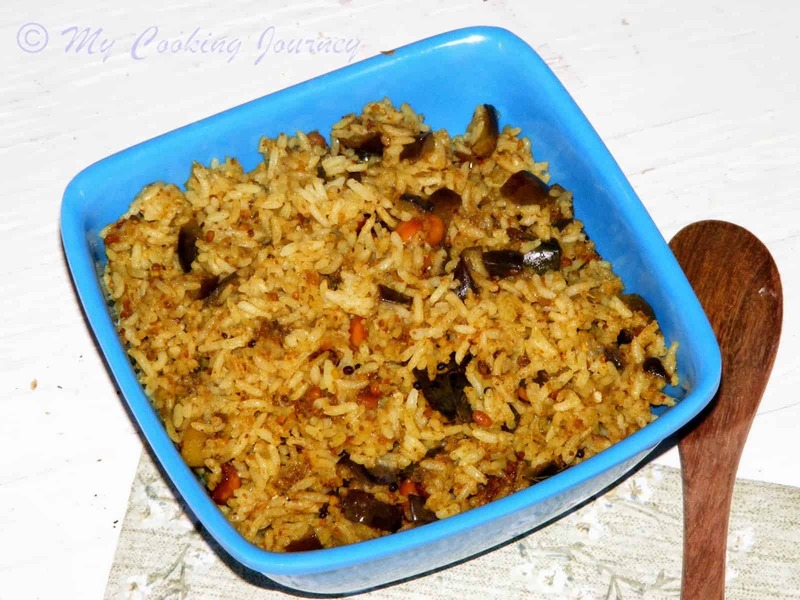 Delicious casserole with eggplant and rice. 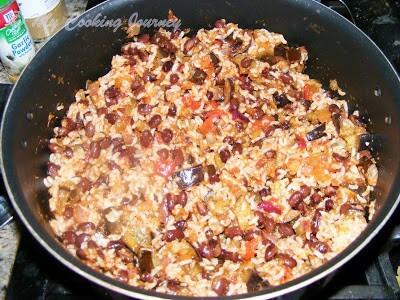 I am glad you are enjoying the BM Sandhya…and this casserole looks very inviting..can't wait to see which category you pick up next..
Lovely dish..black beans are a rare sight here, but surely one can use the red ones…the dish looks and sounds delicious. 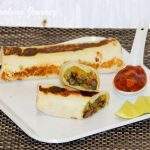 Casserole looks super filling and nutritious..Wonderfully done.. 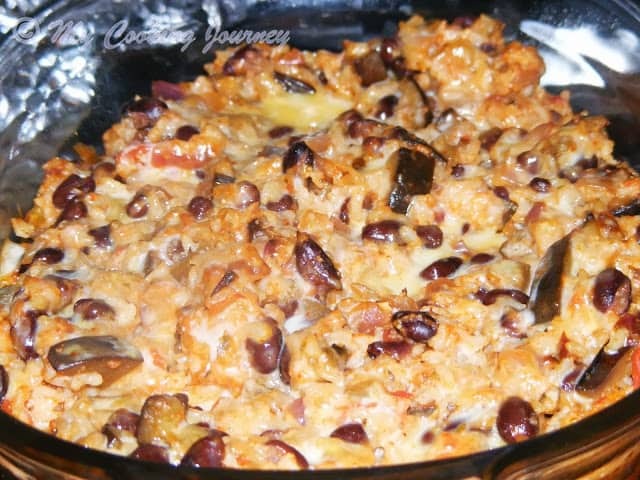 Delicious casserole with eggplant and black beans…very nutritious too. 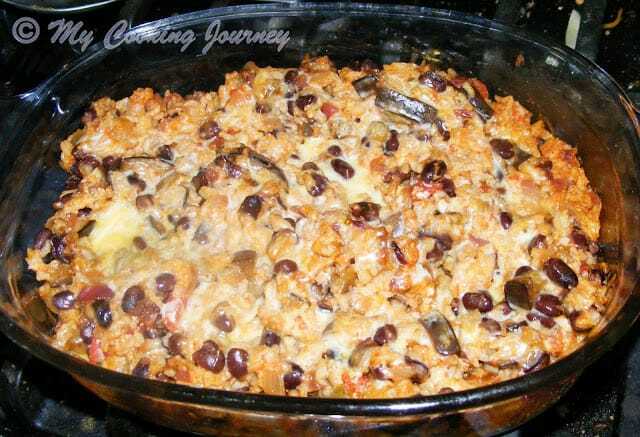 Delicious eggplant casserole, looks inviting. Nice dish …looks very appetizing. this definitely sounds interesting ! good post, and very very Happy Friendship Day to you !! Have a great day ahead dear ! 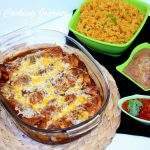 eggplant casserole looks so delicious..
Good to know your are enjoying BM & your casserole looks very delicious. 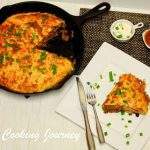 Love love love that eggplant casserole. Bookmarked!! Never knew eggplants would taste so different and look so nice!! !